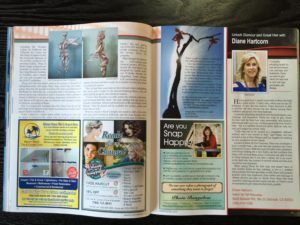 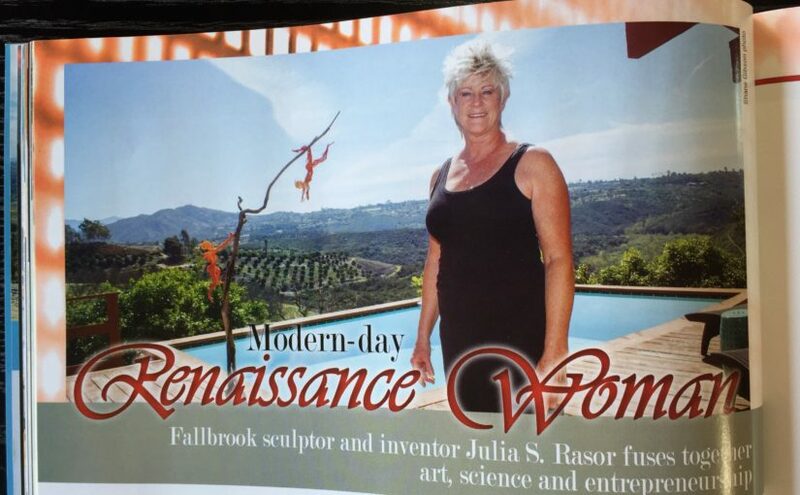 The 2016 Edition of The Greater Fallbrook Area Sourcebook published by The Village News came out this month with a feature article about Julia S. Rasor. 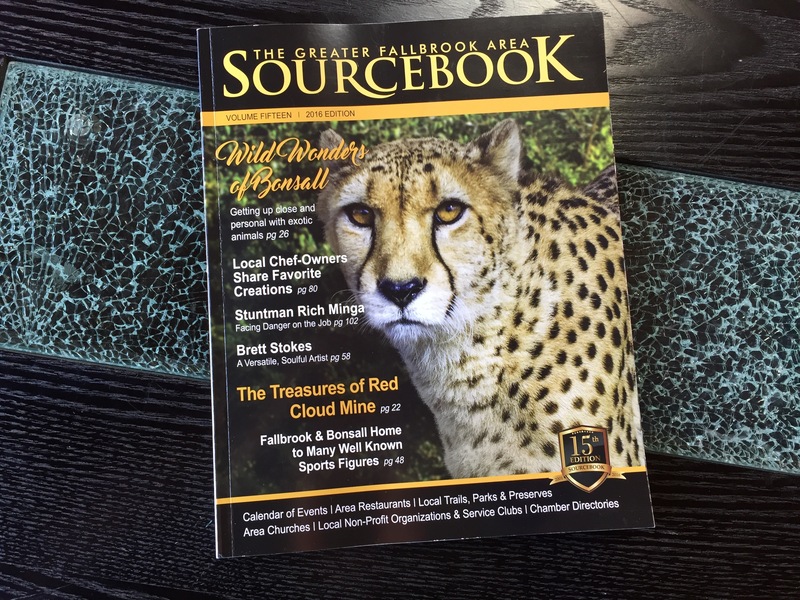 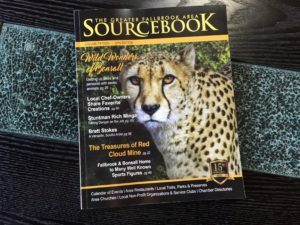 Editorial writer Sandra Shrader was alerted by a friend of Julia’s that there was a new resident of Fallbrook she might find interesting to interview for the latest Sourcebook. 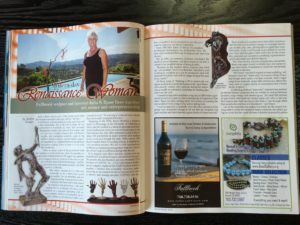 The feature article covers Rasor’s over thirty year career in the medical device industry where she invents the tools that physicians use – she has numerous patents issued and pending – and is the founder of a number of medical device companies one presently trading on the NASDAQ Stock Exchange. Rasor is the inventor of the first ultrasonic contrast agent as well as the application of a medical gas from a nasal dispenser to treat migraine headaches. 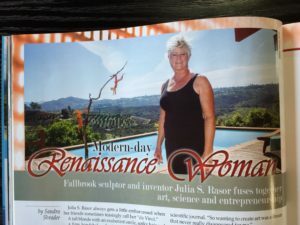 She has worked for over 60 medical device companies and is still inventing for others in a worldwide think tank and as an advisor assisting other entrepreneurs with starting medical device companies, see www.MedicalDevice.com. 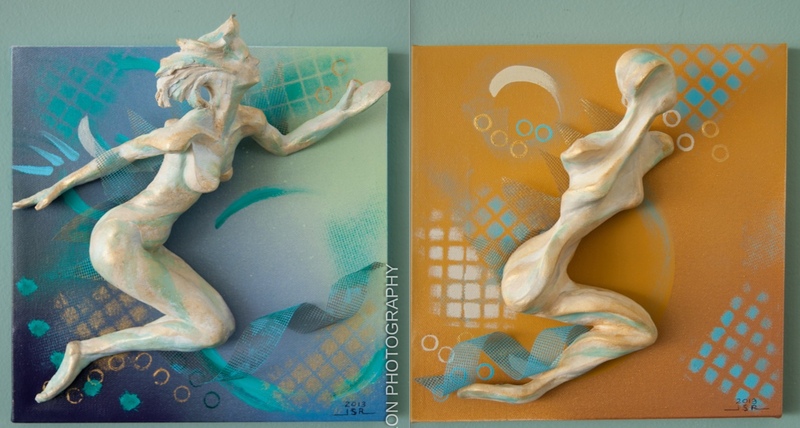 Julia always loved art, only a few years ago she stumbled upon her ability to sculpt. 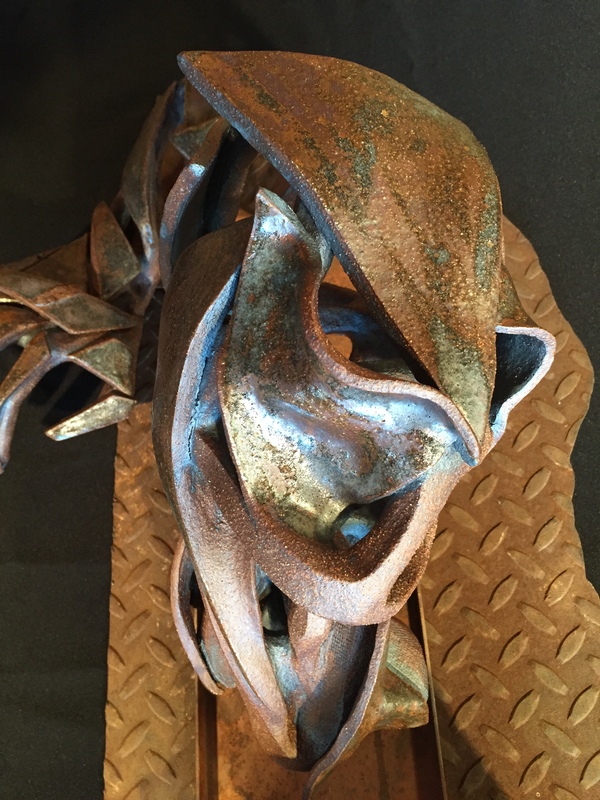 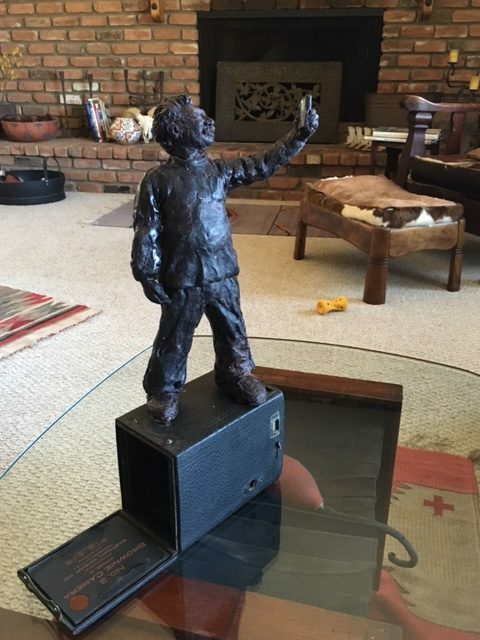 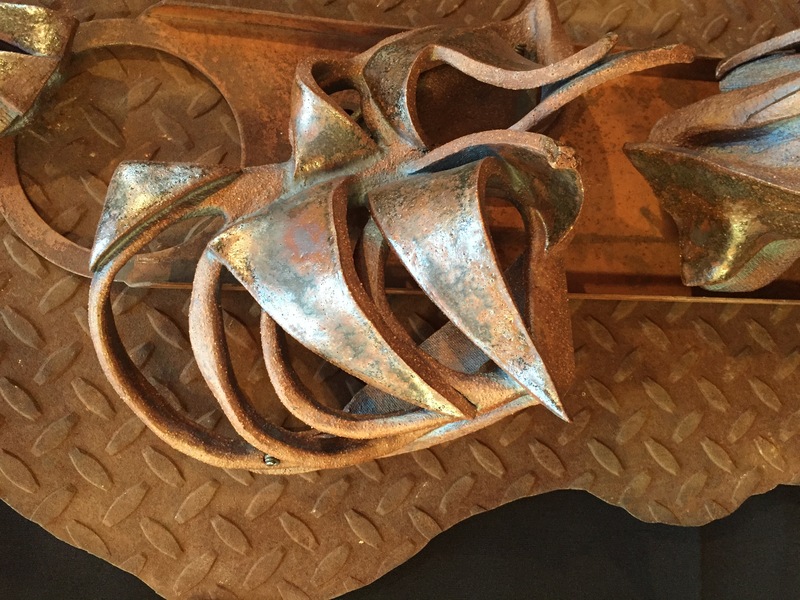 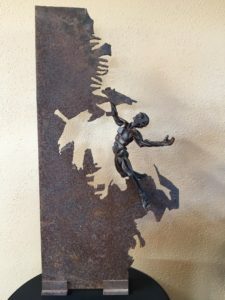 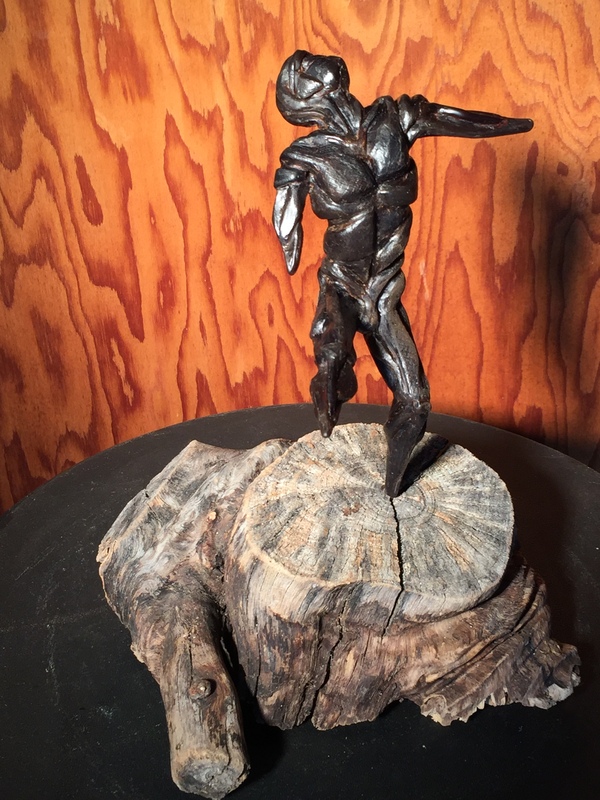 She is versatile in a wide range of media – steel, mesh, ceramics, concrete, plaster, bronze, wax, mixed media – and often incorporates found wood and rusty steel artifacts thus preserving history in her sculpture. 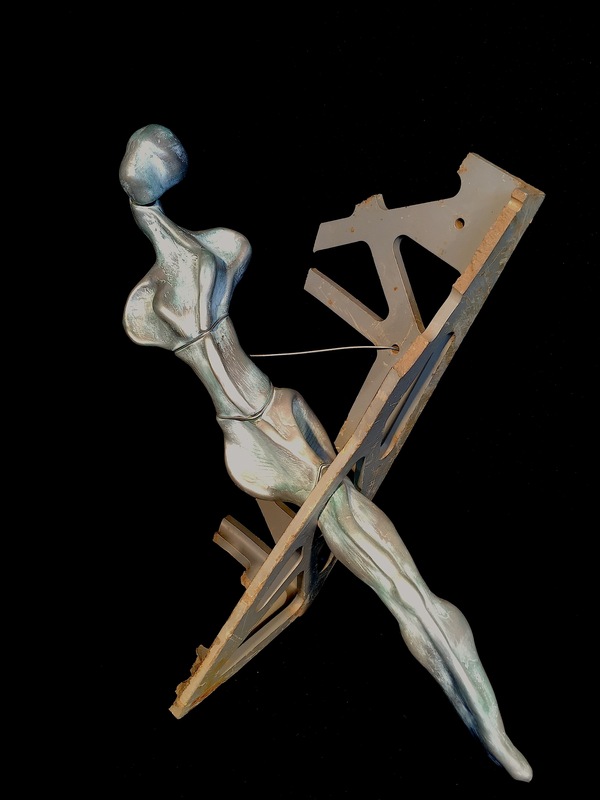 Her works have been described as dynamic, edgy and dramatic. 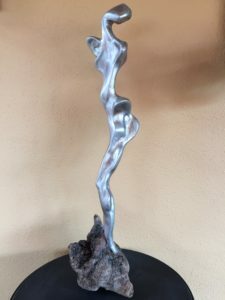 Julia says of her artistic process: “In creating my art, I allow my feeling at the time, and the particular medium, lead my exploration into forms that inspire, provide a feeling or message, or just cause curious wonderment. 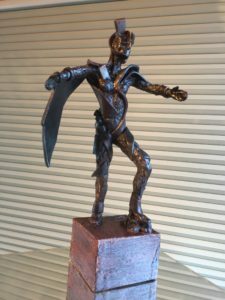 Most of my life has been spent exploring technical ways to aid the human body; my art allows me to explore and express human emotion”. 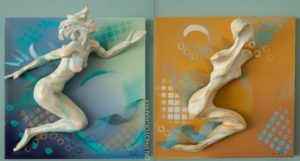 Her art education has been from numerous professional and public artists in the form of classes, workshops and artistic critiques and advice. 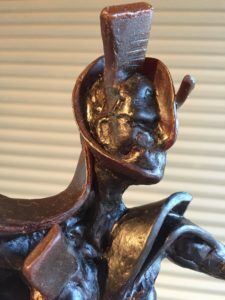 Julia’s focus is on sculpting the human figure. Her interest in this subject arose through her years of study of the human body. She has created a large body of work of figurative sculptures in both representational and abstract styles. 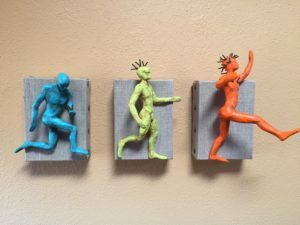 Her more recent works are abstract series of transforming spirits of natural materials, mesh forms of industrial materials, and mixed media creations she has named FractAliens. 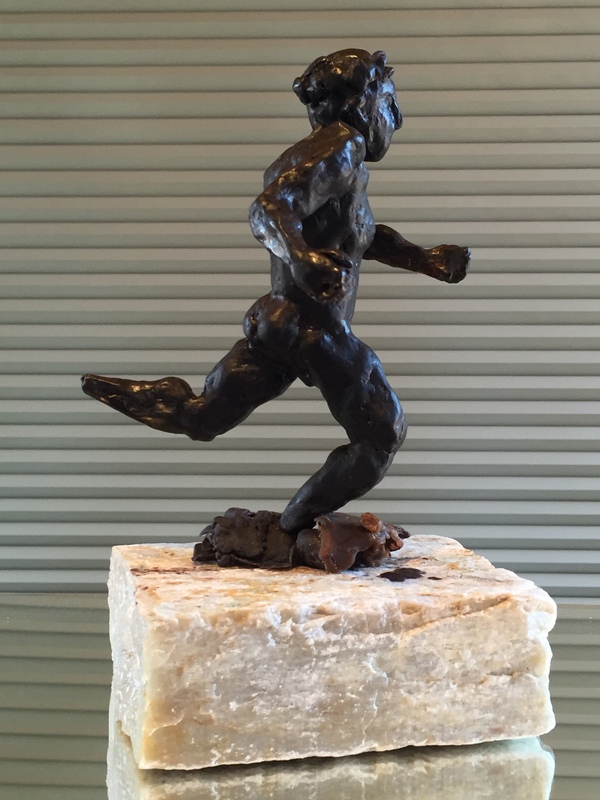 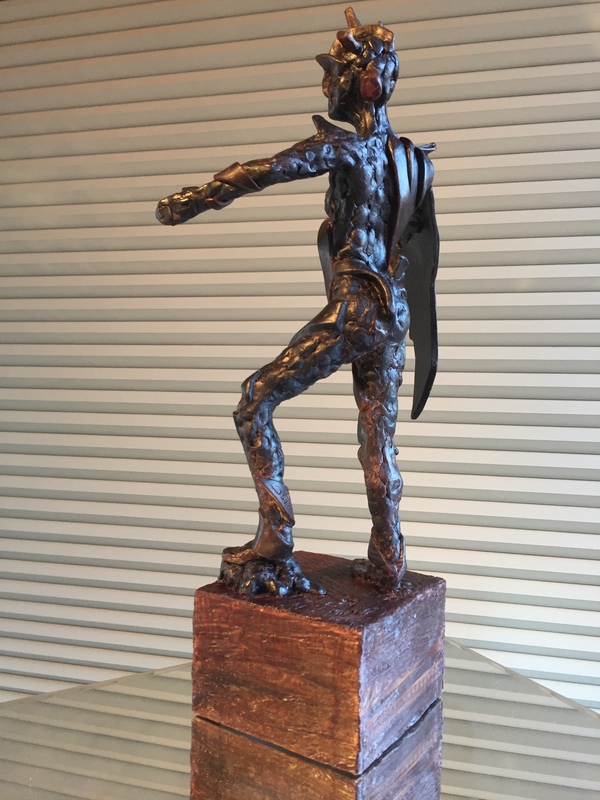 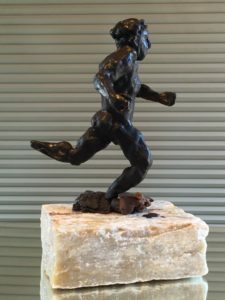 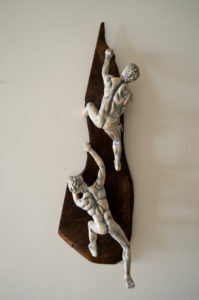 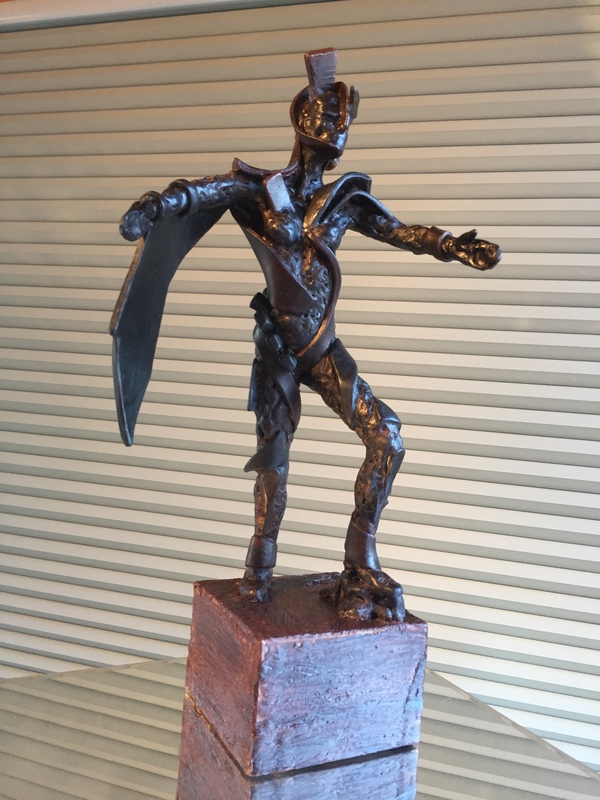 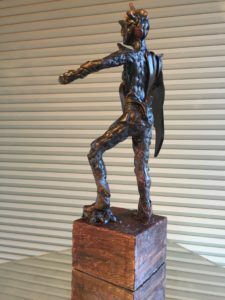 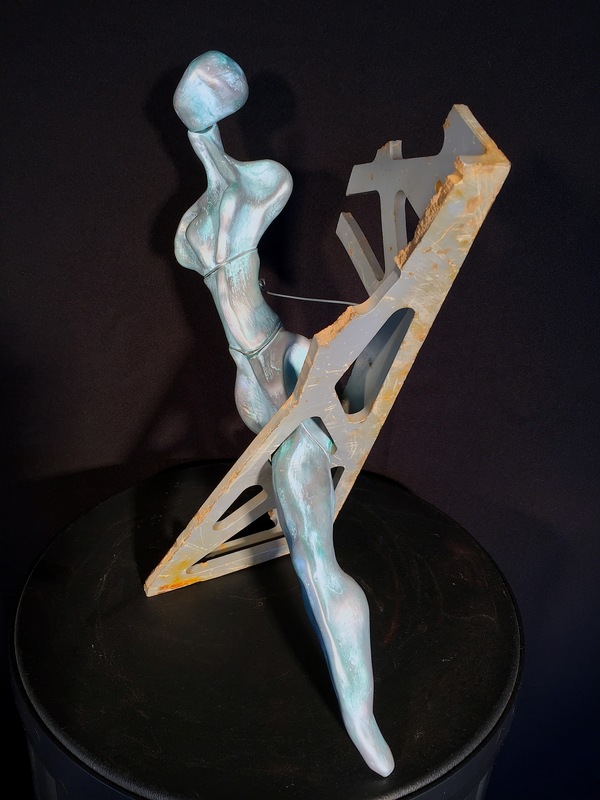 Her works have been exhibited at the San Diego Botanic Garden in Encinitas, CA; Oceanside Museum of Art, Herbert B. Turner Gallery, Del Mar, CA; San Diego Sculptors Guild, Balboa Park, San Diego, CA and Tubac, AZ; The Studio Door gallery North Park San Diego; Encinitas City Hall and Library; Brandon Gallery, Fallbrook Art Center, and Fallbrook Public Library in Fallbrook, CA. New exhibitions are planned at the Sparks Gallery, San Diego, CA and the Phantom Gallery, Oceanside, CA. 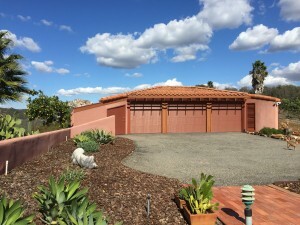 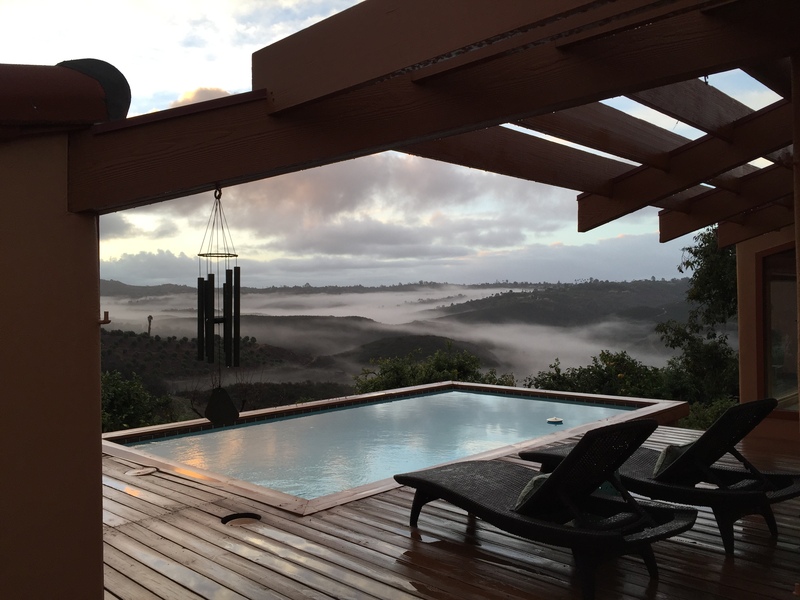 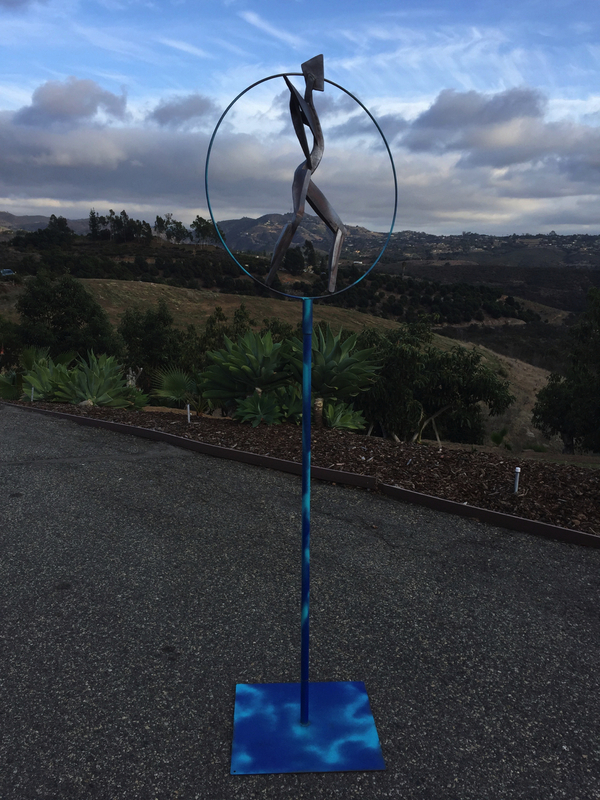 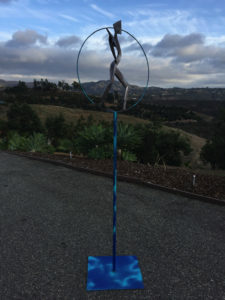 Julia holds Open Studio, Workshop, and Artist Retreat events at her San Diego Artist Retreat located at her Fallbrook Avocado Ranch studio/gallery. 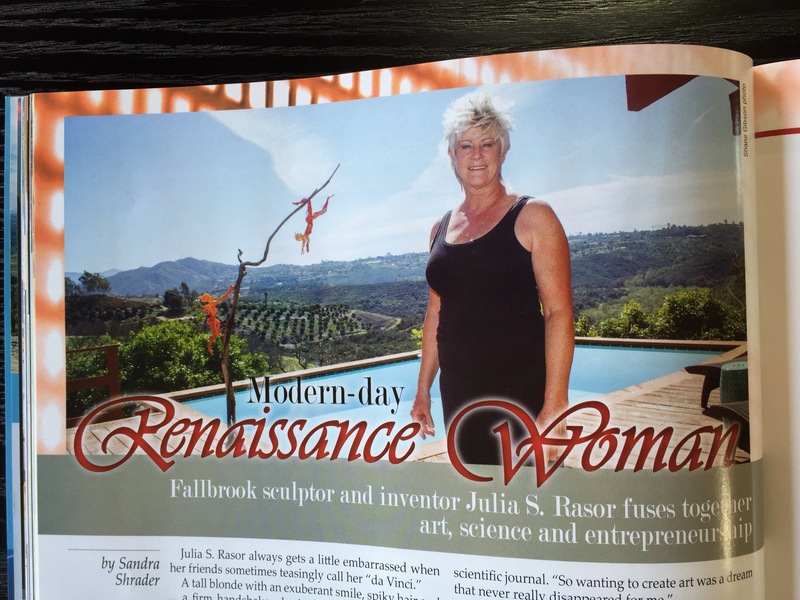 Rasor continues to found new start-ups. Her most recent is the San Diego Artist Retreat where she has created an art immersion experience. The retreat takes place in Julia’s spectacular rural mountaintop avocado ranch setting. 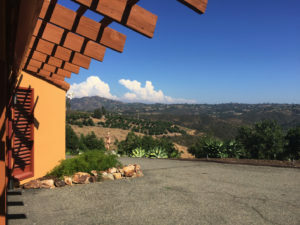 Panoramic views, sunshine and quiet provide an experience that sparks and fosters personal creativity and provides for reflection and refinement of artistic work. 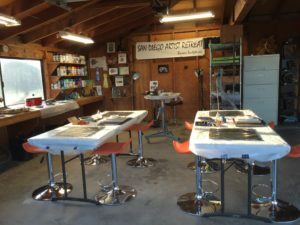 Artists collaborate and receive facilitation to plan and produce art that inspires and excites imaginations and strives for excellence. 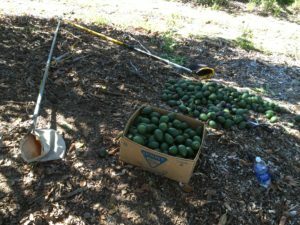 200+ Haas avocado trees that she has rehabilitated and managed over the last year. She sells her avocados to individuals and Fallbrook’s local restaurants that have said that the fruit is excellent, high oil content, a real boutique avocado. 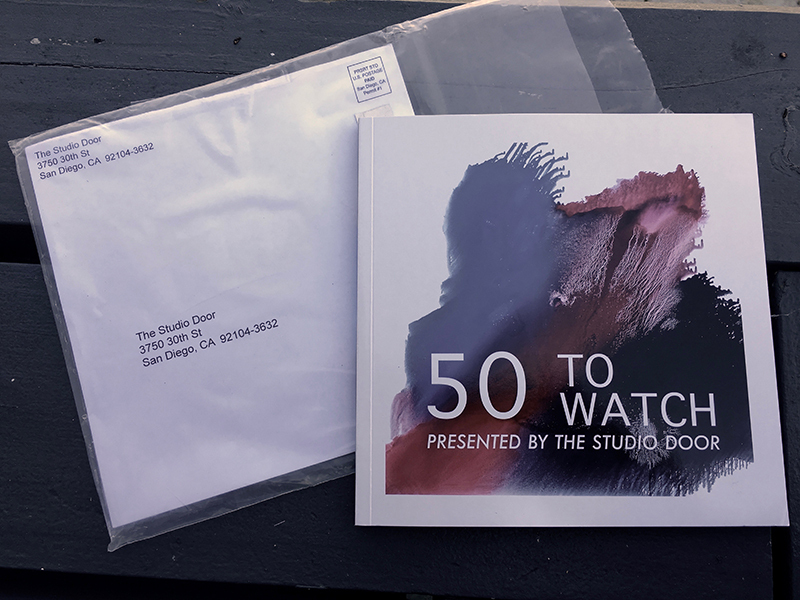 Julia S. Rasor joins fifty visual artists from Greater San Diego juried into 50 TO WATCH by two museum curators. 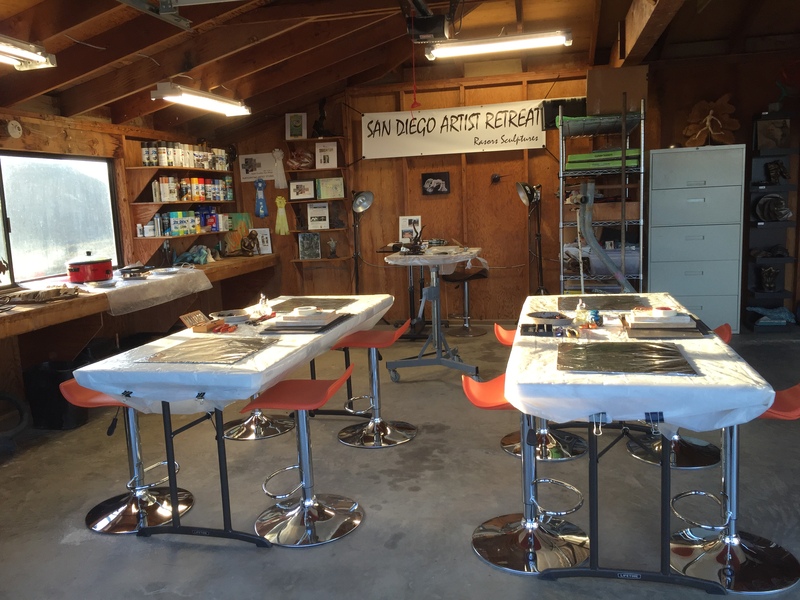 The program offers national exposure for San Diego’s creative marketplace. 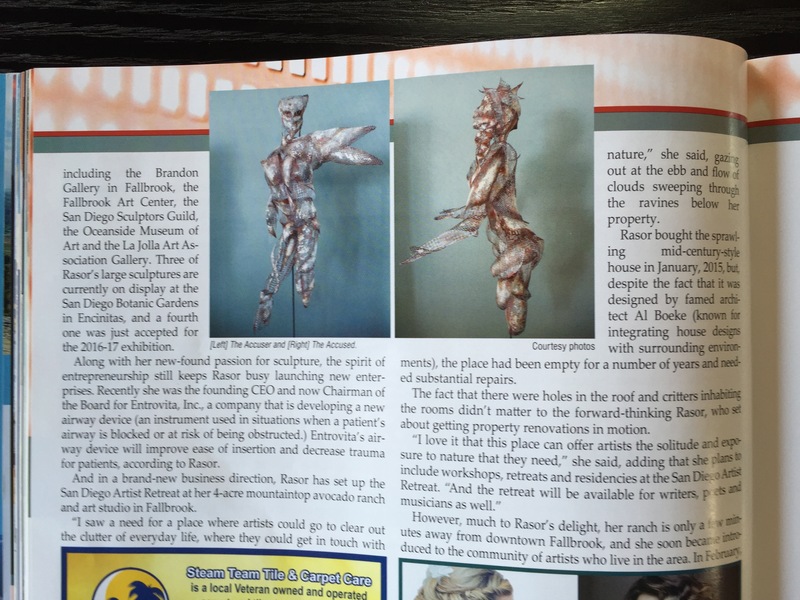 In addition to the exhibition, a catalog will be published and distributed. 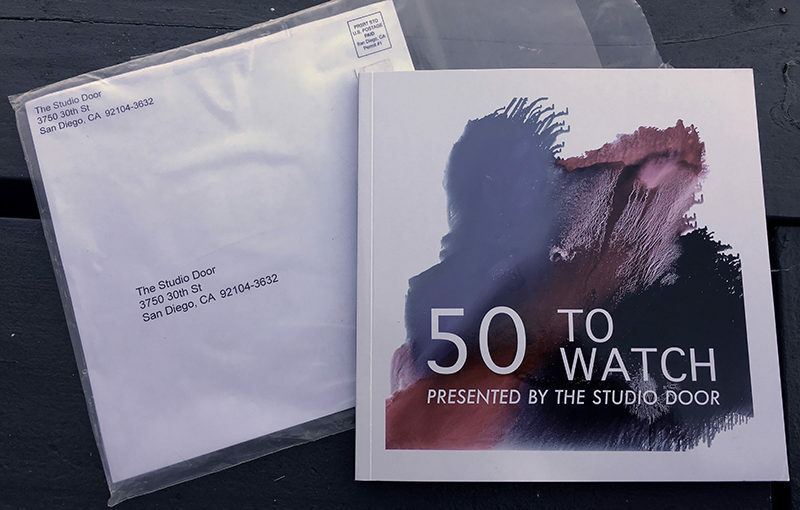 A closing reception and publication launch is scheduled for 6 PM on May 14 at The Studio Door (3750 30th Street, San Diego). 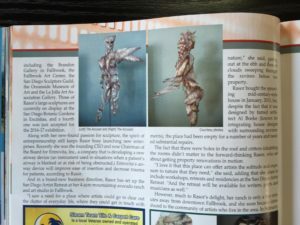 Artwork and artist catalogs will be available for purchase. For more information, visit www.50toWatch.com or call (619) 255 – 4920. 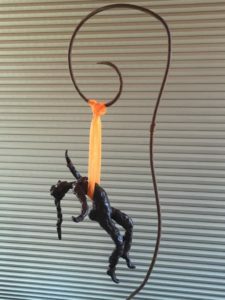 Sculptures from two of Julia’s series have been selected for publication, “Tethered Spirit” will be in the exhibition. “FractAlien Agglomeration” 40″ x 18″ x 12″ which is the first of the FractAlien Series=Fractured Alien. 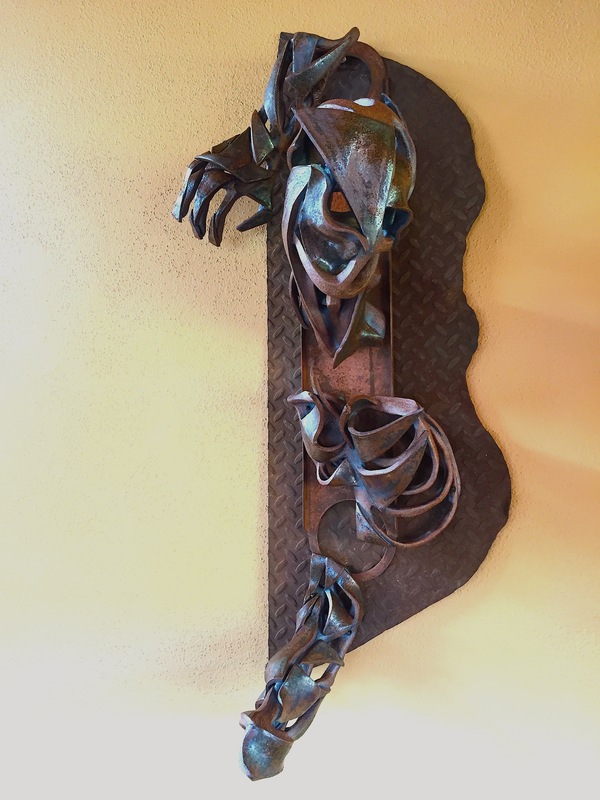 The FractAlien is a creature with an incomplete, fractured skin that can be peered through to see within to the structural skeleton. 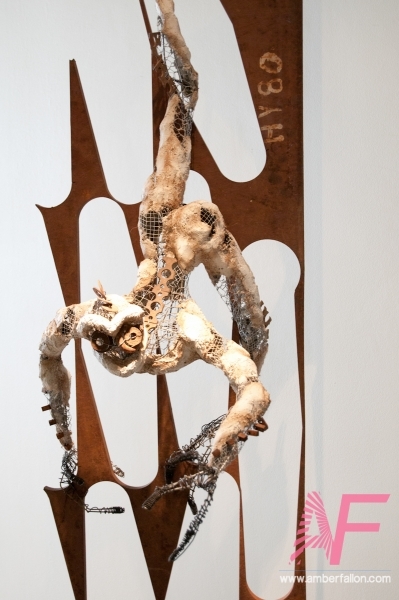 This sculpture is an agglomeration of various body parts: hand, head, thorax, and foot. 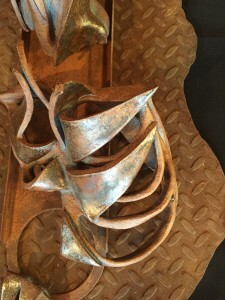 The base is found rusty steel. 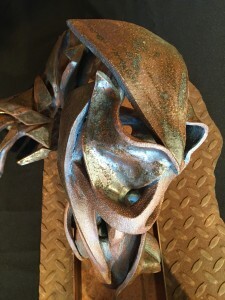 More sculpture from this series can be viewed at FineArtSculpt.com. “Tethered Spirit” 13″ x 10″ x 5″, a mixed media sculpture from Julia’s Spirit series, represents a rising from wreckage. The base is a found piece of aluminum frame. 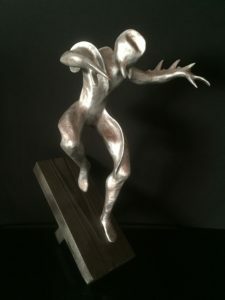 More sculpture from this series can be viewed at FineArtSculpt.com. As with these two sculptures, Julia frequently incorporates discarded found artifacts transforming her sculpture into edgy new fine art that retains a history.